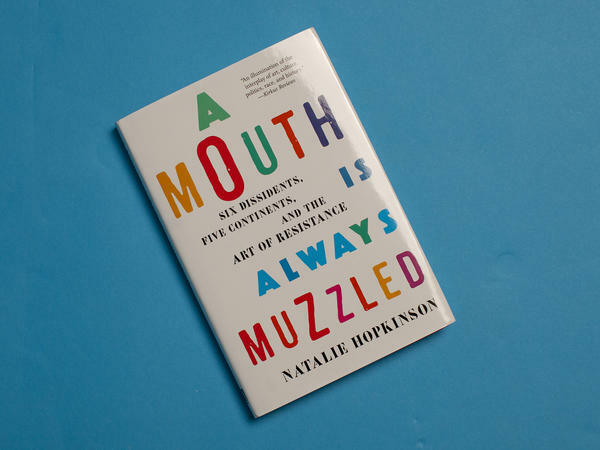 When I first started reading Natalie Hopkinson's A Mouth Is Always Muzzled: Six Dissidents, Five Continents, and the Art of Resistance, I found myself ricocheting between bewilderment and frustration. I consider myself a pretty well-informed person with more than a passing knowledge of the histories of oppressed people, but I couldn't make it more than a few paragraphs without wondering, "How could I not know this?" Although it spans five continents, A Mouth Is Always Muzzled uses Hopkinson's ancestral land of Guyana as its jumping off point and narrative center. Surprising facts about the country abound: Who knew that when Guyana gained independence from Britain in 1966, the British government paid 20 million pounds (16.5 billion pounds in today's currency) in reparations to former slaveholders? Not me. Who knew that the United States cut aid to the country from $18 million in 1968 to $200,000 in 1974 in retaliation for Guyana's decision to become a "cooperative republic"? I certainly didn't. Sure, I'd known that the Haitian Revolution began with a slave rebellion and ended with the establishment of the first free Black republic in the world. I'd had no idea that in Guyana a full 40 years prior, an enslaved Akan man named Cuffy led 5,000 people in the hemisphere's most successful slave revolt up to that point. He ruled the area for almost a year before the Dutch reclaimed power. More striking than what I didn't know about the history of Guyana was how little I knew about its present day reality. Sitting near the northeastern tip of South America, Guyana is one of the poorest nations in the Western Hemisphere. Its residents are descended from African slaves, the indentured servants who replaced them after abolition and the smaller population of its longest-term inhabitants, the Amerindian community. It has the highest suicide rate in the world. This was all news to me. Hopkinson suggests I'm not alone in my ignorance of the country though, noting that "fifty years after independence, Guyana has virtually fallen off the global map." That may be about to change. ExxonMobil recently located a cache of oil and gas worth over $200 billion off the country's coast. What this oil discovery will mean for the Guyanese people – and who among them will benefit — remains to be seen. A Mouth Is Always Muzzled interrogates this question alongside others about the role of the artist in shaping politics, culture, and the future itself. Neither strictly history, biography, art criticism, travelogue, nor manifesto, the book manages to combine all of those approaches to create a strikingly detailed portrait of a country seeking to define itself. Hopkinson's engagement with Persaud and Johnson, as well as her reflections on the other four dissidents of the title — Kara Walker, John Berger, Walter Rodney, and Martin Carter — lets her explore everything from how a country recovers from colonialism to how dissidents handle the very real mortal threats associated with challenging those in political power. While Hopkinson gives substantially less time to these individuals, she succeeds in linking them all to the broader themes of the book and to the history of the land itself. Visiting artist Kara Walker's work, "Sugar Sphinx," a 40-foot-tall sculpture, molded from sugar and "part mammy, part sphinx," gives Hopkinson the opportunity to reflect on the specific ways empires are built on the backs of black women — like those toiling in Guyana's sugar plantations. We learn about British author John Berger's denouncement of the esteemed Booker Prize after tracing its roots to the Booker family's profiteering from Guyana's slave trade. Hopkinson's examinations of the Guyanese activist and scholar, Walter Rodney — who was assassinated — and Guyanese poet Martin Carter allows her to explore the tension between the state and revolutionary thought and art. Ultimately, there are far more questions than answers in Hopkinson's book, and that's as it should be. Her writing seems designed to provoke thought and inquiry as much as it is to inform. We do learn, at the book's end, who wins the 2015 national election. Other, larger, questions remain unanswered. What does post-colonial nation-building look like in a country still dealing with "the unfinished work of liberation after Empire?" What's the role of art in shaping a brighter, yet-unimagined future? When faced with police brutality, racism, xenophobia, and economic oppression, "How much do we tolerate?" she asks. "How far are we willing to go to get free?" Ericka Taylor is a freelance writer whose work has appeared in Bloom, The Millions, and Willow Springs.